We are delighted to announce that Linda has been promoted to Professor in the Faculty of Built Environment at UNSW, as of 1 January 2019. The process of promotion to Professor is rigorous, involving endorsement from Faculty and University promotions committees. This promotion recognises Linda’s outstanding and sustained contributions in leadership, teaching and research. Linda has twice served as Director of UNSW’s Landscape Architecture Program: first, from mid-1999 through December 2003, and again from 2011 through 2013. She has been serving as Acting Discipline Director since mid-2018. 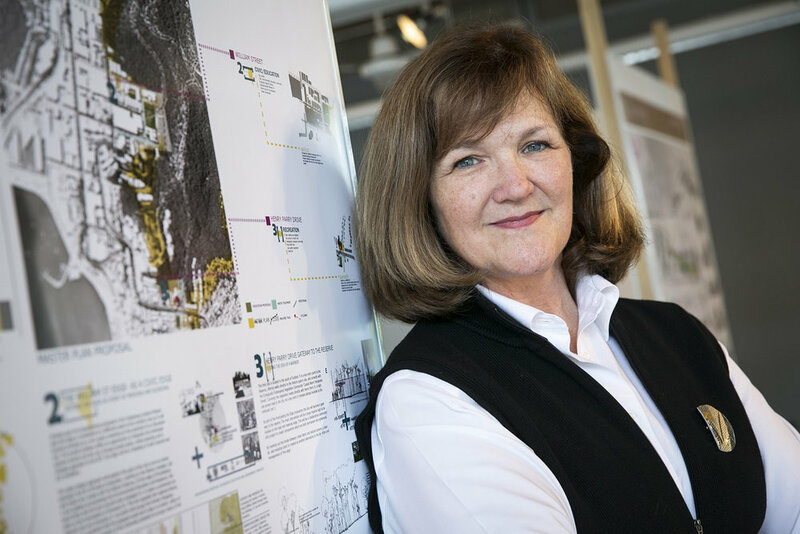 Linda teaches across the four years of the Bachelor of Landscape Architecture Program as well as in the new Master of Landscape Architecture, while continuing to supervise research Masters and PhD students. In October last year, Linda completed a two-year term as National President of the Australian Institute of Landscape Architects and continues to contribute to AILA activities on the National Advocacy and Continuing Professional Development Committees. 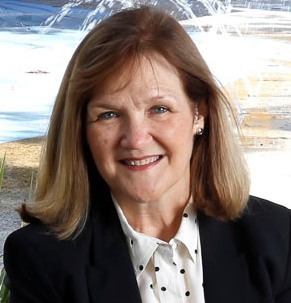 As a Director of Corkery Consulting Linda applies her depth of knowledge and familiarity with current research to inform projects that are undertaken by the practice. Her research broadly addresses issues around people and place, and is focused on how landscape planning and design can mitigate the impacts of climate change and increase both human and ecological resilience. Linda has recently co-edited a book titled, Designing Cities with Children and Young People: Beyond Playgrounds and Skateparks. Currently she is chief investigator on a federally-funded research project called “Smart Social Spaces” that uses technology installed on and around street furniture to collect data on how people engage with each other and with these public places. This work will assist local government by providing real-time data to inform their strategic decision making and assist planning current operations. Linda was a guest speaker in Hong Kong on 29 September at the Seminar Series on Strategic Approaches in Design and Environment. Organised by Technological and Higher Education Institute the Seminar was focused on Sustainable Placemaking and drew both local and international speakers. Linda presented a paper titled ‘Green City, Resilient City’ in which she emphasised that the long term liveability and sustainability of cities requires the generation of new green space and upgrading of existing open space as essential components of green infrastructure. Linda stressed the close link between the health of urban environments and residents, and their capacity to ‘bounce back’ from acute and chronic stresses that are occurring more frequently due to climate change. Linda encouraged landscape architects, planners, architects and urban designers to think strategically about the protection and renewal of existing urban green spaces as well as the creation of new open space to meet the needs of existing and future communities for healthy, liveable and resilient urban environments. We are proud to announce that Elizabeth McCrea Park Playground was reopened by Lord Mayor of Sydney, Clover Moore. The park has particular significance for the Lord Mayor as it is located in the area where she began her very successful political career. The new sand pit and play facilities were fully tested on the opening day by kids ranging from toddlers up to about 6 year olds. The play opportunities include a new circular sand pit with pre-cast concrete seating walls and integrated timber play deck. Other play opportunities are provided by balancing beams, sandstone blocks, central climbing structure with slide, swings, extensive seating and a new shade structure. A lawn area is provided for informal play and planting includes ground cover plants together with trees to provide additional shade and visual delight. Researchers from Macquarie University, UNSW, University of Sydney, University of Melbourne, UTS and CSIRO recently completed the Urban Ecology Renewal Investigation project for the NSW Environmental Trust. Linda Corkery was a co-Chief Investigator for the Project, led the stakeholder consultations and worked with the research team to focus on the built environment section of the project. The project was aimed at improving knowledge and understanding of the gaps and opportunities that exist to improve urban ecology outcomes in the Greater Sydney Region, including Newcastle and Wollongong. The project documents provide the Trust with a sound evidence-base for strategic investment decisions and actions. The Renwick Street Park Playground in Alexandria was officially opened today by Lord Mayor Clover Moore. The playground upgrade includes new play equipment, recycled stone and timber seating pods, water bubbler and planting and has been well received by the local community with reports showing the park is being well used and enjoyed by all ages. Linda Corkery presented a brief opening keynote on "The Culture of Place" at North Sydney Council's recent Creative Places, Places for Creatives Forum. Speakers and panelists at the event addressed the role and future of creative communities in a changing cultural and political landscape, with a particular focus on the Local Government sector. Discussion generated throughout the day-long event will inform a Creative North Sydney Discussion Paper, which in turn will provide the background for a Cultural Policy. We are pleased to announce that the new play and recreation precinct in Turramurra Memorial Park is now open to the public. The high level of usage confirms that the new facilities are meeting a major demand and proving very popular with the community. Corkery Consulting wins AILA NSW 2015 Award in Planning for Rhodes Peninsula Open Space Masterplan. We are delighted to announce that World Landscape Architecture has published an article written by Linda and Noel about the Western Sydney Parklands. The on-line magazine features work of landscape architects from around the world and Edition 21 is focused on Research and Policy. The article describes the creation and development of the Western Sydney Parklands over the past decade and highlights the body of knowledge gained by the Parklands Trust that is relevant to other large urban parks. We are pleased to announce that Corkery Consulting has been appointed to the NSW Government Architect’s Strategy and Design Excellence Prequalification Scheme to provide Landscape Architecture and Urban Design services. The Prequalification Scheme is focused on the delivery of strategic planning advice and design excellence, quality and innovation in the built environment. Corkery Consulting is pleased to sponsor a presentation by Spanish architects Helena Casanova and Jesús Hernández, founders of CASANOVA+HERNANDEZ, a design and research studio based in Rotterdam. The AILA organised event will include a lively presentation and discussion of case studies and test cases from C+H’s recent book, Public Space Acupuncture, featuring projects from their studio and those of other European colleagues. Embracing the fields of architecture, landscape architecture and urban design their design work and research projects strive to develop innovative solutions for creating vibrant cities that also promote environmental and social sustainability. We are pleased to announce that a major article titled WESTERN SYDNEY PARKLANDS – AUSTRALIA’S LARGEST URBAN PARK written by Linda and Noel has been published in the IUCN Parks Journal, which is the on-line journal of the International Union of the Conservation of Nature (IUCN). Publication of the peer-reviewed article follows on from the IUCN World Parks Congress held at Sydney Olympic Park in November 2014, attended by more than 5,000 delegates. Noel made a presentation in collaboration with Suellen Fitzgerald, Director of the Parramatta Park and Western Sydney Parkland Trusts. Forming part of the Congress stream titled ‘Why urban parks matter in creating healthy and liveable cities’, the presentation focused on the knowledge and insights gained over the past decade from the planning, design, development and management of the Parklands, particularly in relation to the capacity of this major urban parkland to deliver human and environmental health benefits to a rapidly growing urban population. Restoration of Memory Park at Hazelbrook forms a key component of the Great Western Highway upgrade carried out by Roads and Maritime Services. The Park provides easy and enjoyable access between Hazelbrook village centre and railway station through an integrated system of ramps, stairs, retaining walls and pedestrian bridge over the highway. Corkery Consulting was pleased to design the restored Park, which has been enthusiastically welcomed by the local community. Existing mature trees were retained and supplemented with extensive new planting that reflects the cultural landscape associated with villages in the Blue Mountains. A new memorial site commemorates local soldiers who died in war.